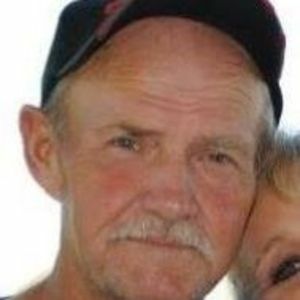 DRAKESBORO - Marvin Ray "Bo" Perry, III, 69, of Drakesboro, died Wednesday, August 10, 2016, at Skyline Medical Center in Nashville. Mr. Perry was born May 31, 1947, in Greenville. He worked in technical operations at ARC in Morgantown, and was a member of Jehovah's Witnesses Church. He loved to play golf, fish, and play his guitar. He also loved sawmilling, UK basketball, and all things family related. He always had a special place in his heart for his grandchildren. He was preceded in death by his father, Marvin Ray Perry, Jr.; and sister Marcie Ellen Perry Graves. He is survived by his mother, Marjorie Louise Graham Perry Hart, of Drakesboro; his wife of 40 years, Angel Denise Jenkins-Perry of Drakesboro; sons Marvin Ray "Beau" Perry, IV, of Tucson, AZ and Cody Mitchell Perry of Central City; daughters Kimberly Lynn Perry (Randy) Jones of Henderson and Larrah Raye Perry of Greenville; grandchildren Megan Jones, Michelle Perry, Jordan Perry, Emily Perry, Joanna Beth Perry, and A'Layah Chanel Lovan; one great-grandchild; sisters Marie Perry (Jolly) Jernigan of Drakesboro, Marleta Perry (Steve) Hancock of Laurel, Mississippi, and Samantha Renee Perry (Robert) Miller of Crofton; and brothers Jimmy (Mary) Nelson of Drakesboro, Dewayne Eaves of Crofton, Chris (Tracey) Eaves of Crofton, and Mike Eaves of Crofton. Funeral services will be Sunday, August 14, 2016, at 2:00PM at Tucker Funeral Home in Central City. Burial in Peanut Cemetery. Visitation will be Sunday after 9:00AM at the funeral home. Online condolences may be made at www.tuckerfuneralhomes.com. Prayers of peace and comfort for your loved ones. So sorry for your loss. I know how devastating this must have been for you and all your family. My thoughts and prayers are with you during this difficult time. May God strengthen you and comfort your family . Love you , Angel! Take care of yourself! Angel, Larrah and Cody and family, we are so sorry to hear of the loss of Bo. I did not know him that well but Kevin thought a lot of him. Our thoughts and prayers are with you during this difficult time. May God bless you and give you comfort. Angel, we were sorry to read about "BO's death. Always enjoyed talking to him from time to time. You, Larrah and the rest of the family will be in our thoughts and prayers. Well, Dad, when you had cancer,you said you would be happy if God could give you just 10 more years. You got that and a little more. So I give glory to God and thank Him for all life's blessings. This world and its sadness will soon pass, but HE gives us eternal life in Paradise. We shall see each other there Dad. Rest in Peace.Love you. Dear Angel and family so sorry to hear of your lose! My prayers and wish for Jehovah's strenght. This is a sad deal I really liked Bo and he will be missed RIP.